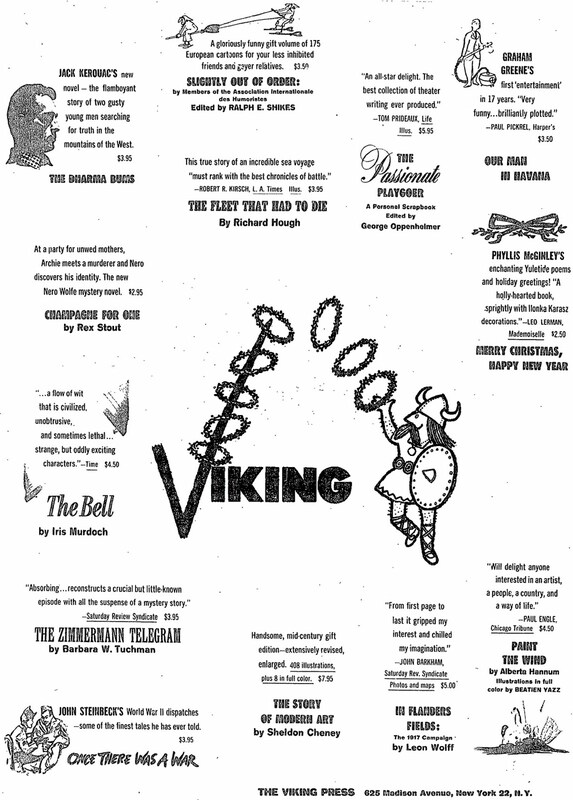 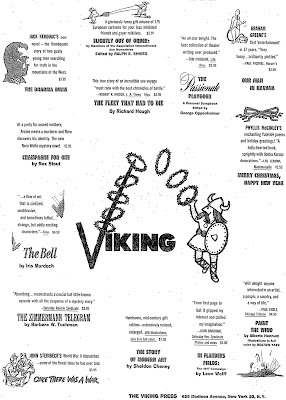 Display advertisement from New York Times, November 30, 1958. 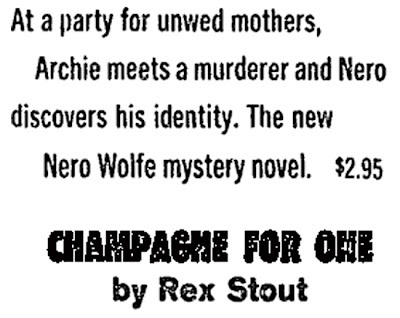 "At a party for unwed mothers, Archie meets a murderer and Nero discovers his identity. The new Nero Wolfe mystery novel."